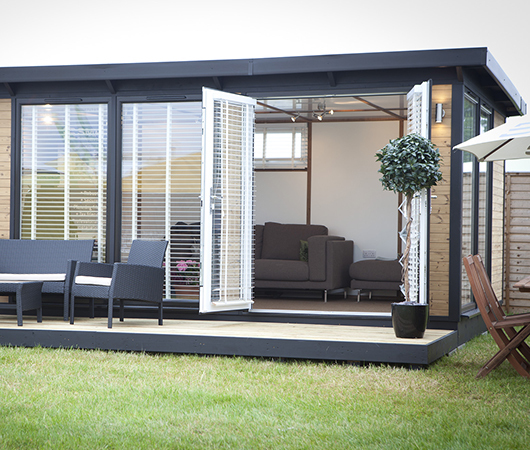 Launched in Spring 2016, the Ultra’s little sister (as we affectionately like to call her) has proved a popular contemporary choice for those looking to make a style statement in their garden. 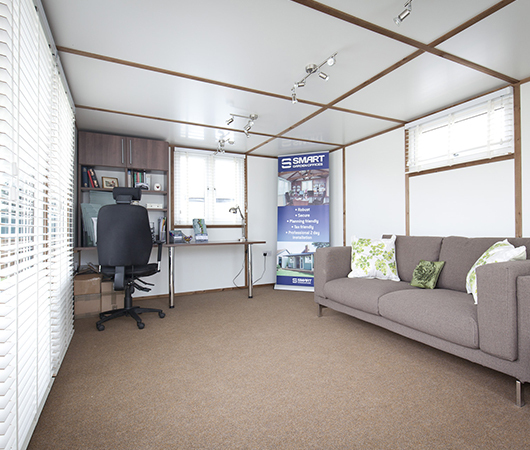 This Quarto was unveiled at the Suffolk Show in June and has attracted lots of attention ever since. 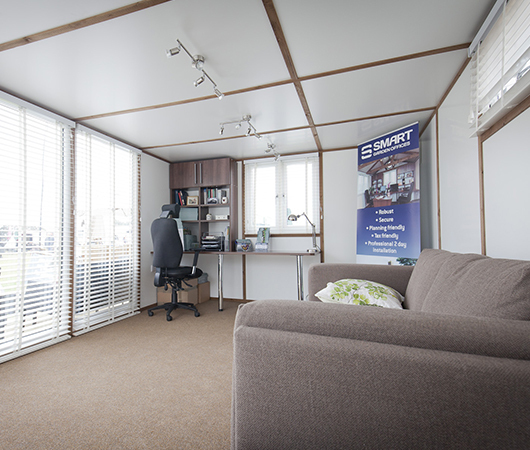 As with all Smart Garden Offices, your building can be completely personalised to your needs, lifestyle and garden to truly create a garden room that will be exceptional, however you intend to use it. 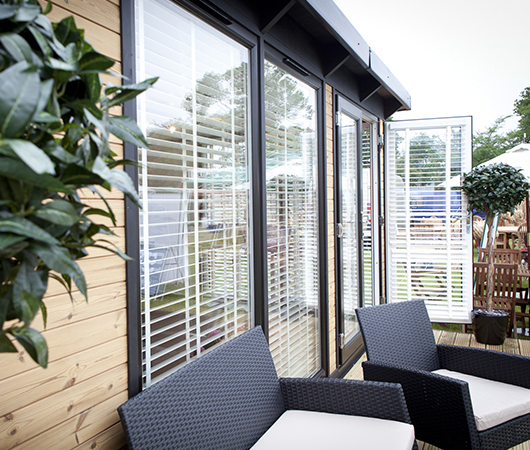 Our managing director and designer-in-chief Charlie specified this building for the Suffolk Show to truly utilise as much natural light as possible with our unlimited floor-to-ceiling double glazed windows and discreet eye-level windows to the rear. 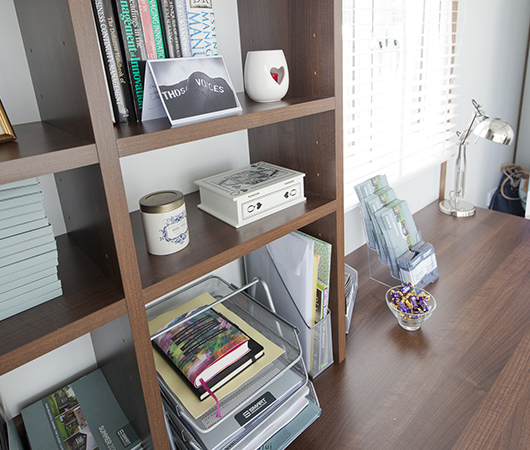 With an integrated desk and over-desk cabinet in a walnut finish, this Key Studio is the ideal office combined with plenty of additional space for visitors, equipment or creating a social space for family too. Despite the typical British summertime weather (torrential rain) at the showground, the team and many members of the public were comfortable in the warm and dry of the fully insulated Key. This particular Key Studio is currently available to purchase at a special ex-demonstration price. "An outstanding job and I am so delighted with the end product. The appearance, finish and size of the office is everything I wanted"